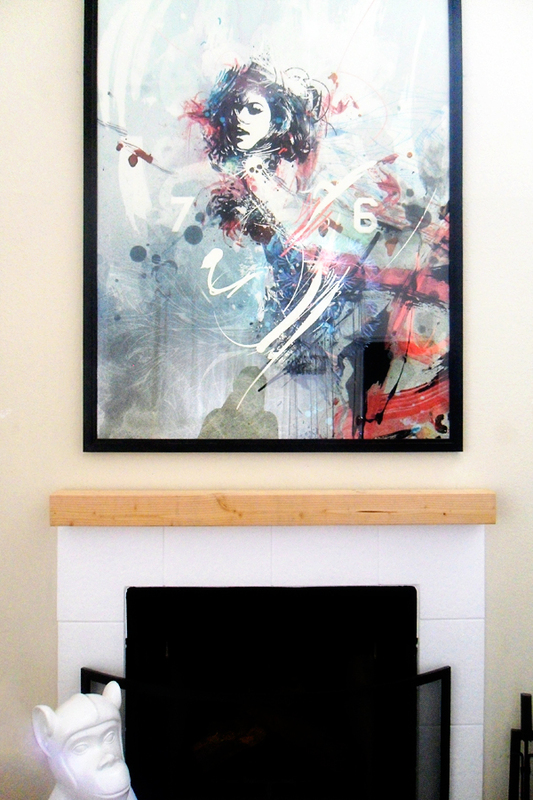 Over the weekend, I finally got around to staining and hanging my new fireplace mantel and I couldn't be happier with the results! 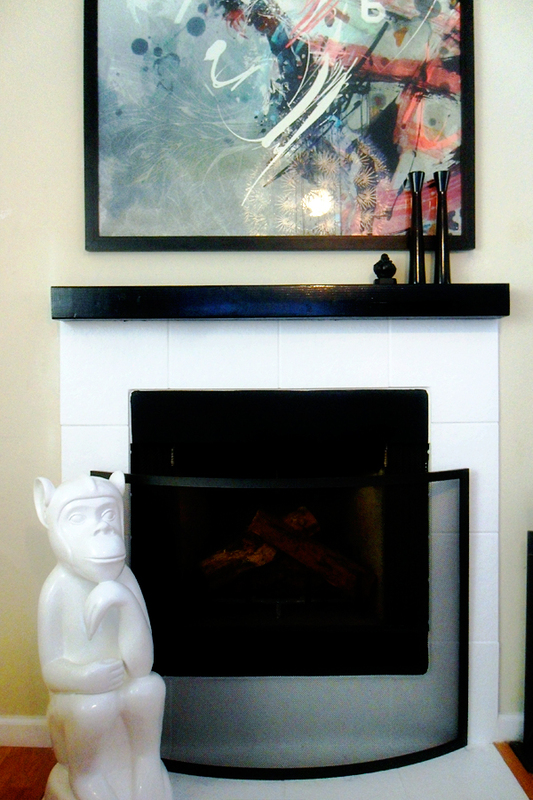 Before my new mantel, I had mounted an IKEA Lack shelf above my fireplace as a temporary solution. 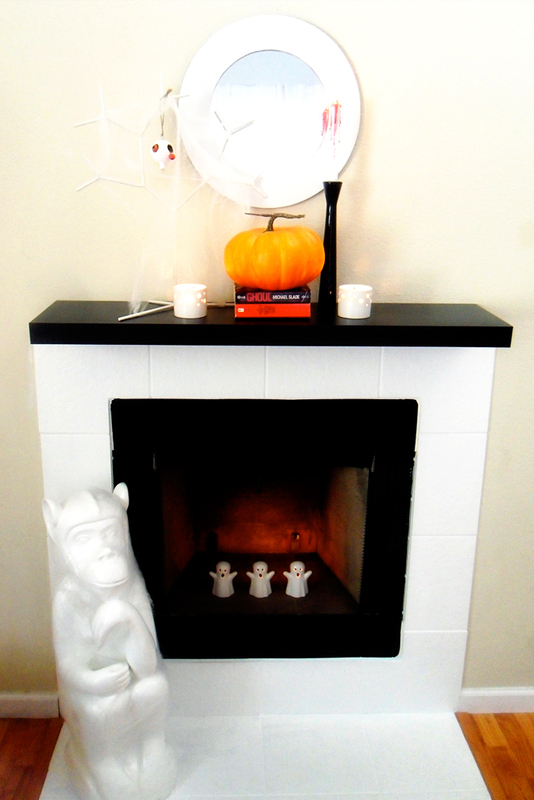 It worked for a while but it was a few inches shy of the width of my fireplace and that bothered the perfectionist in me. Also, I wasn't a fan of the huge overhang and wanted something that didn't stick out as much (about 10"). 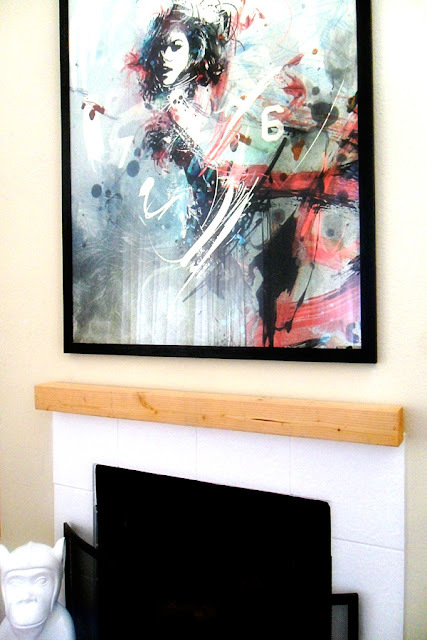 To make the new mantel, I purchased an 8' long piece of lumber that was 4" x 4" square. 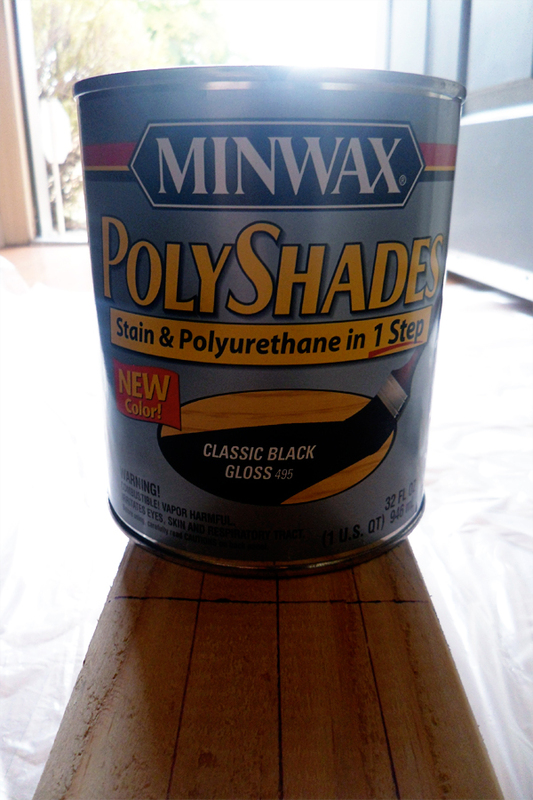 I had the piece of wood cut down to 4' long (the width of my fireplace) at my local lumberyard and purchased a can of glossy black Minwax Polyshades stain and a 3" brush. In order to mount the 4' long piece of wood, I had my maintenance man cut the bracket that the IKEA shelf was mounted onto in half and then my awesome boyfriend drilled two holes into the wood and VOILA! it was mounted. 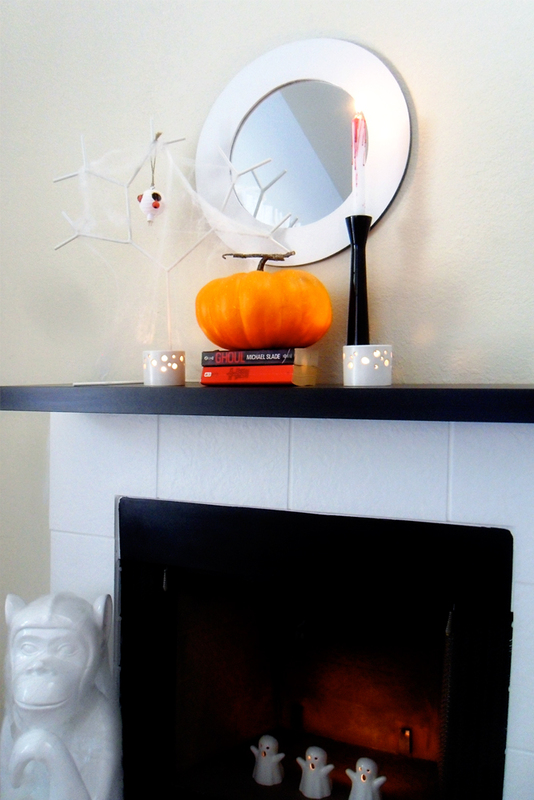 [ Yes, that's a reflection of the IKEA PS Maskros pendant in the glass. 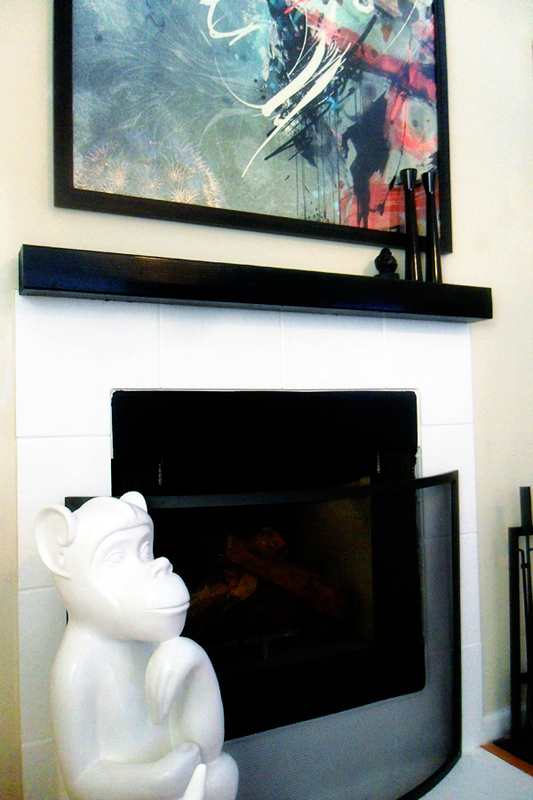 What do you think of the new mantel? How would you style it? That high gloss makes my heart pitter patter! LOVE it! 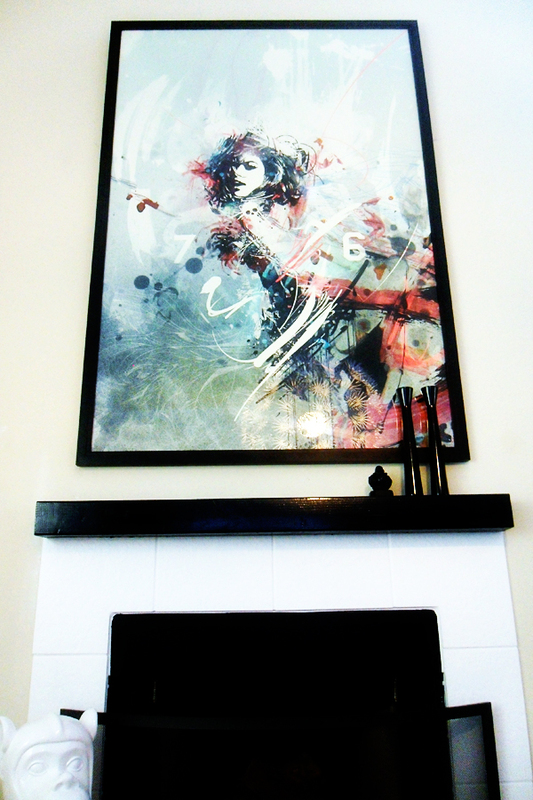 Hello, crazy beautiful art!!! Is that your work? Amazing job on the mantle! It looks really good! I'm digging the black-on-black look, too. I'm wondering if a more dramatic fireplace screen would be the answer instead of styling the mantle differently? Ooooh... I love the difference! Not sure how to style it...maybe add a trailing succulent? My philosophy: When in doubt, always add something from nature.